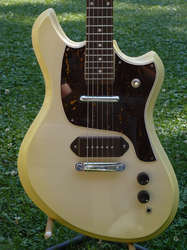 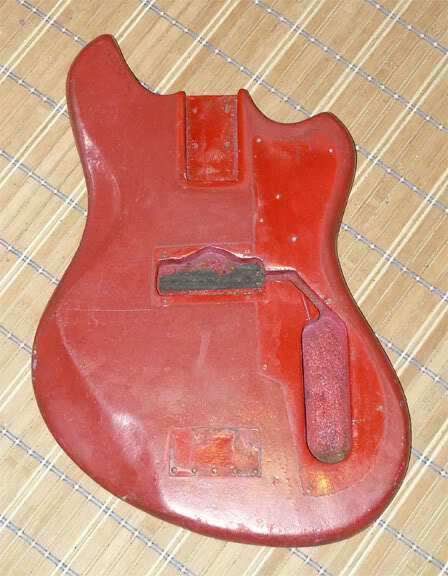 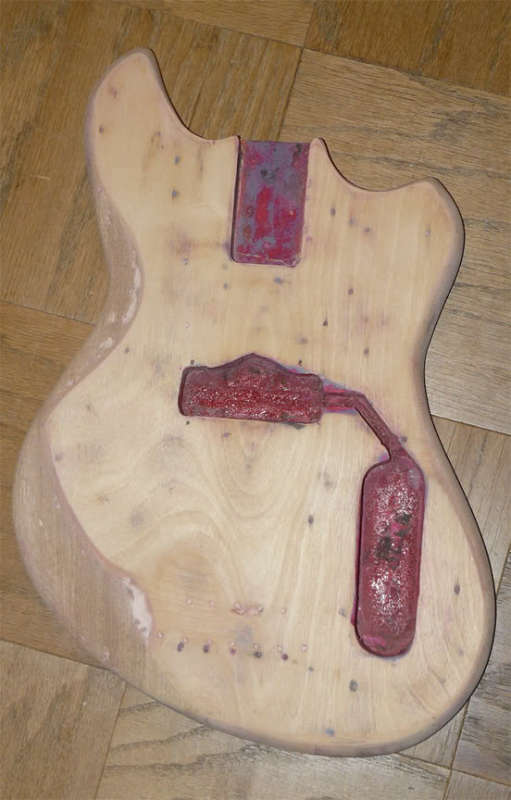 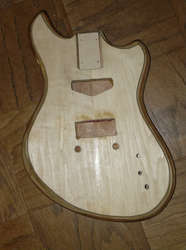 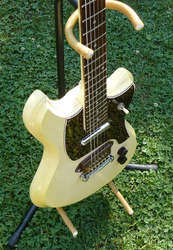 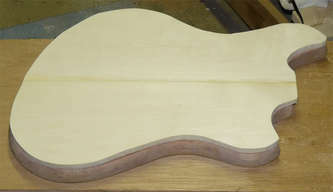 The Bandit is a modified Mahogany body that was once a Bass guitar, possibly Japanese. 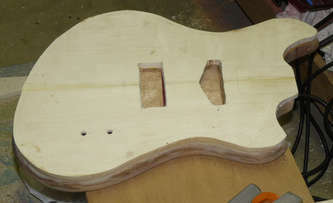 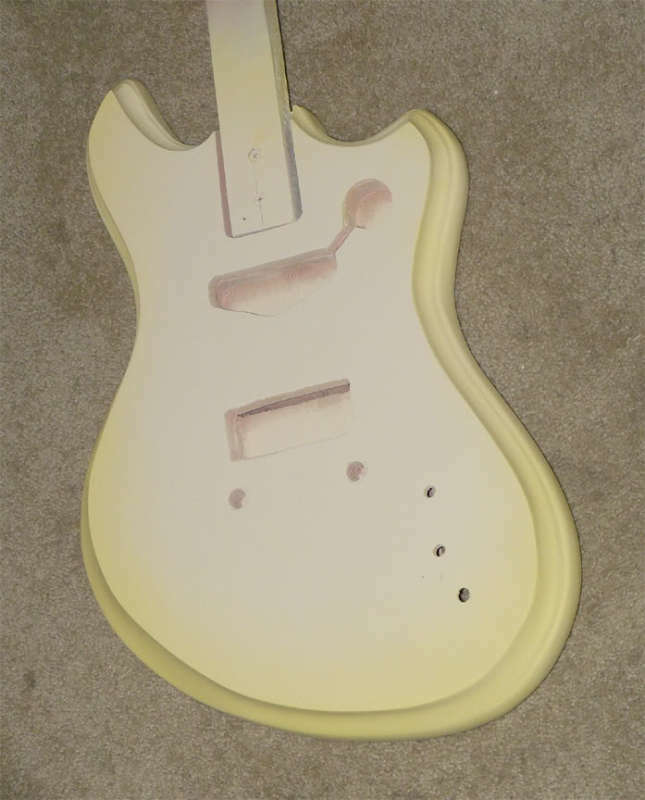 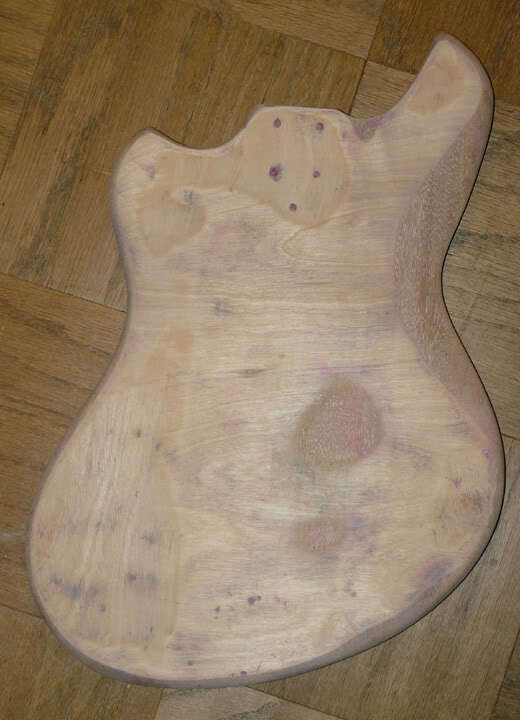 I added a poplar top to it, routed out a Mosrite style edge. The neck is from an Epiphone LP that I modified the headstock.